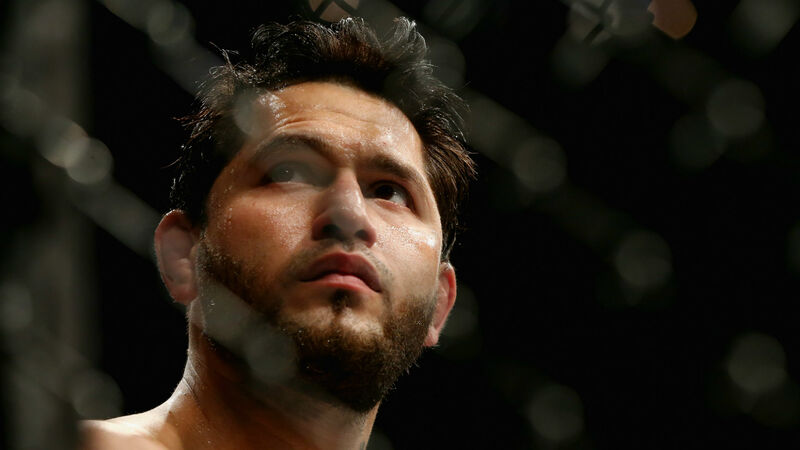 UFC London: What do major wins mean for Masvidal, Edwards? This past week, the UFC touched down for its annual stop across the pond in London, England and after an uneventful week leading up to the action, things really popped off on Saturday once the punches started flying inside The 02 Arena. Capped by a pair of crucial welterweight tilts with a potential light heavyweight title eliminator backing them up, this low key, streaming-only show turned into an event that sent shock waves through the 170-pound weight class and left everyone with more questions than answers as the 2019 campaign keeps rolling on. Here’s a look at the key takeaways from each of Saturday’s main card bouts. The first strike caused a pause in the action, as Masvidal landed low. The second shot caused the crowd to erupt, as Till put Masvidal on the canvas with a clean left hand. From that point forward, the crowd offered raucous support for the Scouser right up until “Gamebred” silenced them by stopping the recent title challenger. Throughout the contest, Till landed the heavier shots, but Masvidal remained game, doing a good job to weather the storm and counter with much greater volume and a bit more variety. He took advantage of Till’s willingness to press forward without firing, mixing in kicks to all levels and short, clean punches while “The Gorilla” looked to land a power shot. Finding that range and getting Till’s rhythm down opened the door for Masvidal to land the clean left that landed flush and shut him down in a flash just beyond the three-minute mark of the second round. It was a perfectly-placed, perfectly-timed blow that presented itself as a result of all the little savvy things Masvidal was able to do earlier in the fight and it instantly took the air out of The O2 Arena. What this means: For Masvidal, it should mean a massive fight next time out, as he ended a 16-month hiatus by heading overseas to battle Till on his home turf and put him to sleep. Those in the know have always known Masvidal is a savvy, dangerous talent, but this was easily the most high-profile win of his career and it should elevate him to new heights in the welterweight ranks. Getting into a scrap with Leon Edwards in the back after the two started exchanging words makes that fight a very real possibility, especially with “Rocky” rolling and Masvidal coming off this effort. It’s a tough night for Till, obviously, and puts him in a tricky spot for a moment, as he’s now dropped two straight after rocketing into a title shot last fall. As Masvidal said in his post-fight interview with Dan Hardy, Till is still only 24-years-old and has a bright future, but for right now, he’s got some things to figure out. But make no mistake: this was a star-making performance for Masvidal and one that should position him for something major later this year. Edwards’ days as the most underrated fighter in the UFC should be over now that he’s pushed his winning streak to seven and gone back-to-back against Donald Cerrone and Gunnar Nelson with a pair of impressive performances. Ignore the fact that this was scored a split decision — Howard Hughes, who awarded Nelson the victory, should have to justify why he scored the opening frame for Nelson, given that Edwards spent the second half of the round on his back, landing some quality shots in the process. Since starting 2-2 in the UFC, Edwards has shown steady improvement while rattling off seven straight victories and showed the full effect of his skills on Saturday. After grappling with Nelson in the first, he sparked him late in the second, blowing up his right cheekbone with a beautiful elbow on the break that put the Icelandic fighter on the floor. This was a patient, professional and complete performance from Edwards, who continues to impress more and more each time out. What this means: Seven consecutive victories in the welterweight division is tremendous and with consecutive victories over quality, ranked opponents, “Rocky” should get a big name next time out. Securing another big win on the same card where Darren Till suffered his second straight loss should earn Edwards a push as the next British fighter the UFC backs with some force. But that should have been the case since his win over “Cowboy” and that hasn’t really happened yet. As much as his win over Nelson was impressive and Edwards lobbied for the opportunity to fight the main event winner following his victory, getting into it with Jorge Masvidal after the main event wrapped probably did more to increase his profile and set him up for a major fight than anything else. A bout with “Gamebred” would make a great deal of sense given what transpired between the two in the back, but if that one doesn’t come together, there are other top names that would make sense for the surging Birmingham-based fighter as well. Outside of the main event, this is the one that carried the most intrigue on Saturday’s fight card, as Oezdemir started his 2018 campaign challenging for the light heavyweight title and many viewed this as the fight that would determine how close Reyes was to being a legitimate contender in the 205-pound ranks. From start to finish, this felt like a smart, tactical performance from Oezdemir, who did a good job to control the distance over the first two rounds and largely avoided anything too nasty in the third, save for a knee to the body that forced him to back up. Social media almost unanimously had him up 2-0 heading into the third, but the ringside officials thought otherwise, with two of the three seeing the fight in Reyes’ favor. Interestingly, the two judges who scored the fight for the still-unbeaten Californian, Mark Collett and Paul Sutherland, each scored the fight differently, with the former awarding Reyes the second and third and the latter having him ahead in the first and third. What this means: Officially, Reyes continues to move forward as he remains unbeaten, but this fight did more to show the holes in his game and highlight that he still has a long way to go before being viewed as a real threat in the 205-pound ranks. That’s not necessarily a bad thing either, as he’s less than two years into his UFC journey and only 11 fights into his career, so pulling back on the reins a little and giving him a chance to gain more seasoning and more experience might be the best thing for him. The really difficult thing here is that Oezdemir has now dropped three straight after starting 2018 on a three-fight winning streak. He’s far better than those results dictate and he appeared to do enough to snap his mini-skid on Saturday, but the judges thought otherwise, leaving him to once again head back to the gym searching for answers. The biggest winner from this fight was Thiago Santos, as the Brazilian was the clubhouse leader in the chase for the next title shot before Saturday night and Reyes didn’t come close to doing enough to pass him. “Marreta” should have next and while Jon Jones will undeniably be a massive favorite, it should be another interesting matchup once it comes together. Bantamweight is brimming with talent at the moment, but Wood is too good to be overlooked at this point after securing his third straight submission win since arriving in the UFC. The 25-year-old Brit showed poise beyond his years against Quinonez, dealing with whatever offence “Teco” had to offer, hitting a sweep when he was stuck on bottom early in the first and controlling the action from that point forward, threatening with a submission of his own and landing the bigger shots throughout the round. In the second, the Brad Pickett protege did a great job defending in the clinch before tripping Quinonez to the floor, securing the choke before getting all the way around to the back, leaving Quinonez no choice but to tap. What it means: First and foremost, it means that Wood remains one to keep an eye on in the 135-pound weight class, as a third straight triumph and eighth consecutive victory overall prove he has the potential to be something special in the future. The 25-year-old showed clean technique on the feet during his Cage Warriors days and has been tapping guys since moving to the Octagon, showing he’s got a complete arsenal. On top of that, he seems like a level-headed, even-keeled kid who simply wants to keep plugging away, getting better and climbing the ladder. Additionally, the finish again shows the importance of transition grappling, as Wood attacked the neck as he was climbing around and securing his hooks against Quinonez, sinking his arm under the chin while “Teco” was still trying to deal with the hooks and the position. We saw it a couple weeks back when Emily Whitmire did the same against Alexandra Albu and it should be something we continue to see more of going forward. The way this one ended has dominated the post-fight conversation, but it has also seemingly rendered the rest of the fight meaningless, which isn’t necessarily good. Silva dominated the first, landing on Roberts early before hauling him to the ground and controlling the action on the canvas. Though he wasn’t able to connect on anything and Roberts rolled into top position to land a few solid shots in the final 20 seconds, the London-based Brazilian handily won the first. Roberts landed a sharp shot right out of the gate int he second, but Silva quickly secured a takedown and moved to mount almost immediately. While Roberts was again able to reverse and land some good, clean shots while they stood, Silva once again brought it back to the floor, ultimately arriving in back mount, threatening to secure a finish and forcing Roberts to defend. In the third, Roberts opened up and started busting up Silva, but he left openings for “Hannibal” to attack, which again forced him to defend submission attacks, rather than continue pouring on the offence. Midway through the round, Silva attacked a deep armbar, prompting Roberts to scream in pain, which referee Kevin Sataki interpreted as a verbal submission. It was a questionable stoppage, as Roberts appeared to be slipping out when the referee stopped the fight, but the scores were 20-18, 19-19 and 20-18 heading into the third, so unless Roberts rallied to finish, it seemed like Silva was on his way to securing a victory. What it means: People tend to forget everything else that happened in a fight whenever there is a questionable finish like this and that’s unfortunate because Silva did a good job controlling the action on the canvas throughout this fight and it’s not his fault the referee stopped it early. “Hannibal” has now won 13 straight overall, the last four coming inside the Octagon, and while the why this one ended was debatable, Silva was less than two minutes away from earning a split-decision win on the cards, perhaps even a clean sweep of the final tallies. While you feel for Roberts, the way this ended shouldn’t be held against Silva. The “British-Zilian” is an interesting name in the middle of the welterweight division now, as you simply can’t ignore a four-fight winning streak and 13 consecutive victories overall. The 36-year-old edged out rising star Leon Edwards several years back and his scored finishes in each of his two fights since returning from an extended absence, so a step up in competition and a chance to face someone on the fringes of contention should be in Silva’s future. The expectation was for this one to be a firefight, but rather than stand in the center and trade, Marshman made a point of using his footwork to frustrate Phillips over the final two rounds to sneak out of London with a split-decision win that seemed like it should have went the other way. Phillips may have cost himself early by letting Marshman back to his feet after putting him down midway through the first, taking a bow and calling his countryman back up rather than diving in and chasing a finish. While Marshman clearly won the second with smooth movement and slick boxing, Phillips appeared to do enough to merit the nod over the final half of the third, landing the bigger punches and constantly pressing forward. Unfortunately for Phillips, two of the three judges didn’t see it that way, resulting in Marshman snapping his two-fight skid and handing his fellow Welsh middleweight a third-straight UFC loss. What it means: The victory assuredly means that Marshman will be back for another middle-of-the-pack middleweight assignment later this year, but the more interesting question is what will happen with Phillips after this one. The SBG Ireland product is now 0-3 in the UFC, but he was much more game here and it’s not hard to argue that he should have come away with a victory. It wouldn’t be all that surprising if he got one more shot at breaking into the win column, although no matter what you thought of the scoring here, it’s not like Phillips went out, ran away with this one and got robbed. Marshman is a sturdy veteran presence in the lower half of the shifting middleweight ranks who should see a steady diet of emerging talents going forward, while if Phillips is asked back, it will be a must-win situation.